Modular In-Line Clamping System | Mitee-Bite Products LLC. Mitee-Bite announces the addition of our popular fixture clamps in a modular system. Clamps, grips and stops, designed to be fully adjustable while mounted on T-Slot tables and grid plates.This system is designed around our Pitbull® Clamp which remains the strongest, lowest profile fixture clamp in the industry. Producing over 6,000 pounds of force. 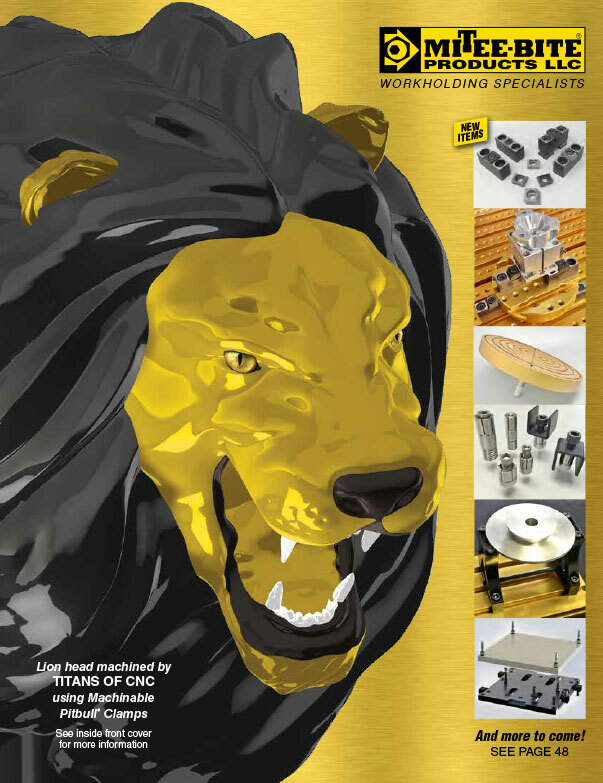 Available with Knife-Edge, Blunt-Edge or Machinable faces to suit your applications, all producing positive downforce. 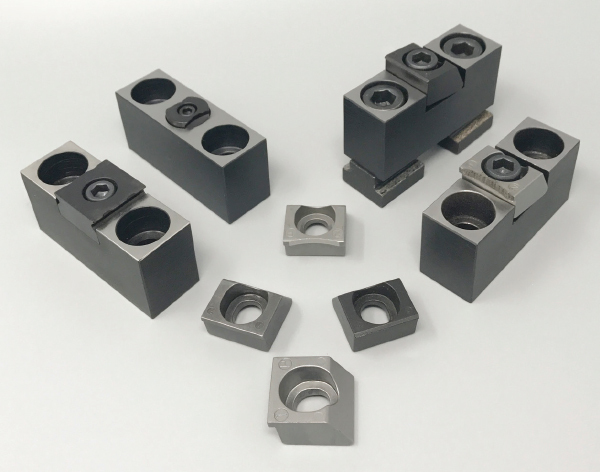 Low-profile stops and grippers incorporated into design for less tooling interference and savings on material cost. These modular clamps and stops are ground to the same height as our Large Modular Pitbull® Clamp providing even greater versatility. Stops with TalonGrip™ or VersaGrip™ to hold both rectangular and irregular/round shapes. 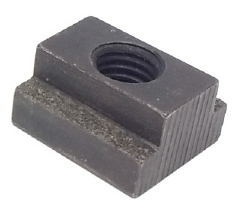 Mount with your existing T-nut directly to your work table, or mount to grid plate using our Tungsten Carbide faced high grip T-Nuts, 16″ Long T-Nut Rail, or fasten directly to table using socket head cap screw. Height of gripper can be adjusted by depth of slot or bore.